Dimensions 0.35 by 6 by 9 in. 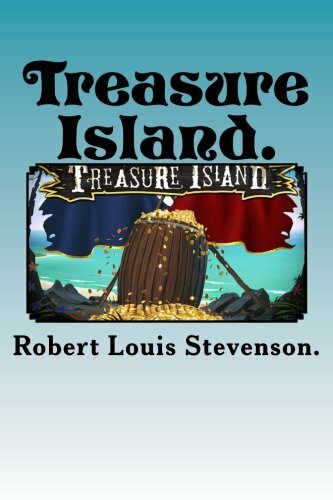 Amazon.com description: Product Description: Treasure Island is an adventure novel by Scottish author Robert Louis Stevenson, narrating a tale of "buccaneers and buried gold". It was originally serialized in the children's magazine Young Folks between 1881 and 1882 under the title Treasure Island, or the mutiny of the Hispaniola, credited to the pseudonym "Captain George North". It was first published as a book on 14 November 1883 by Cassell & Co. Treasure Island is traditionally considered a coming-of-age story, and is noted for its atmosphere, characters, and action. It is also noted as a wry commentary on the ambiguity of moralityâas seen in Long John Silverâunusual for children's literature. It is one of the most frequently dramatized of all novels.